School District Central Elem, Currituck Middle, Currituck H.S. 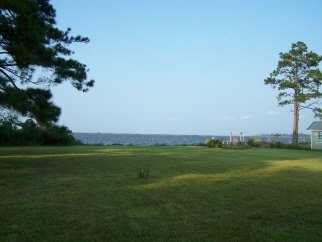 Imagine the possibilites with this Beautiful 10+ acre waterfront parcel located on the Coinjock Bay in Currituck County. Brick home on property sold as-is/where-is. Septic/well existing, however, sold as-is. Approximately 424ft waterfront and add'l creekfront. Private acreage, horses permitted! Million dollar water views! Exterior Features Waterfront-10 acres on Coinjock Bay. Great investment opportunity with approximately 424 ft of waterfront. Brick home on property sold as-is/where-is, needs complete rehab. Beautiful views!! Horses Permitted. Call agent for details.